While it seems that most of the recent winners have been using the belly or long putters, this wasn’t the case at the Texas State Open. 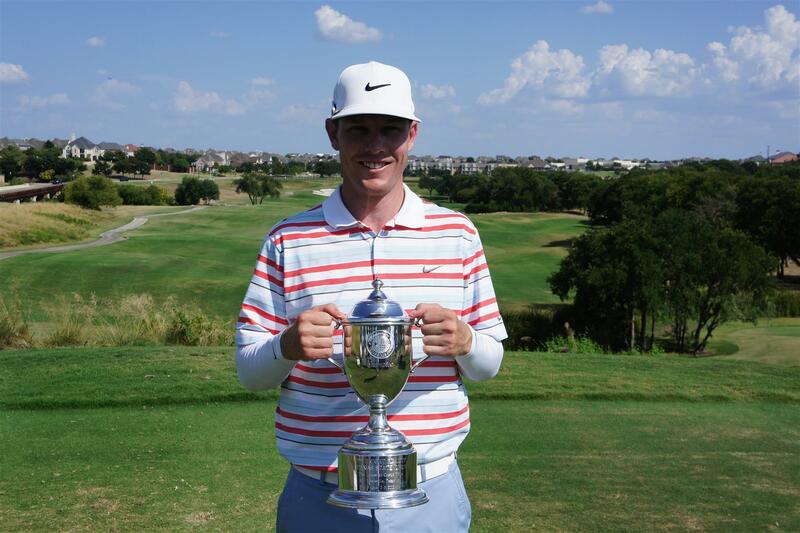 Mini-tour professional Nathan Tyler of Tucson, AZ used a 30.5-inch putter to roll in a four-footer for birdie on the first extra hole to claim the Bright Reality Texas State Open at The Lakes at Castle Hills in Lewisville, TX. “It was just a four-footer, left to right, and I slammed it in,” he said. The former University of Arizona golfer finished regulation play in a three-way tie at eight-under 280 with Canadian Tour pro Dustin Risdon of McKinney, TX and Coppell, TX teaching pro Jamie Elliott. Tyler hit his 85-yard wedge, that he called his ‘money shot’, to four feet on the playoff hole, while Elliott and Risdon left their approach shots 12 and 15 feet away, but missed their birdie chances, settling for $12,000 checks. Tyler noted the $25,000 prize money will come in handy, allowing him to enter the PGA Qualifying School, after his funds were almost out since the National Pro Golf Tour had not paid him $54,000 in winnings. 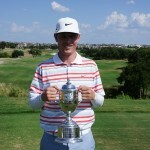 He played on the Web.com Tour in 2009 and qualified for the U.S. Open at Bethpage that same year. Although being out driven by up to 50 yards by Tyler, Risdon used a pair of birdies on Nos. 14 and 16 to move even with his fellow competitor. Both missed birdie chances on the final two holes and finished with closing 69s. Meanwhile, Elliott closed with a 67, saving par with a five-footer on the last hole after seeing his third shot from the rough come up short in a bunker. Kolton Crawford of Mansfield, who will be a sophomore at the University of Arkansas, claimed low amateur honors with a closing 69 to finish at 287.